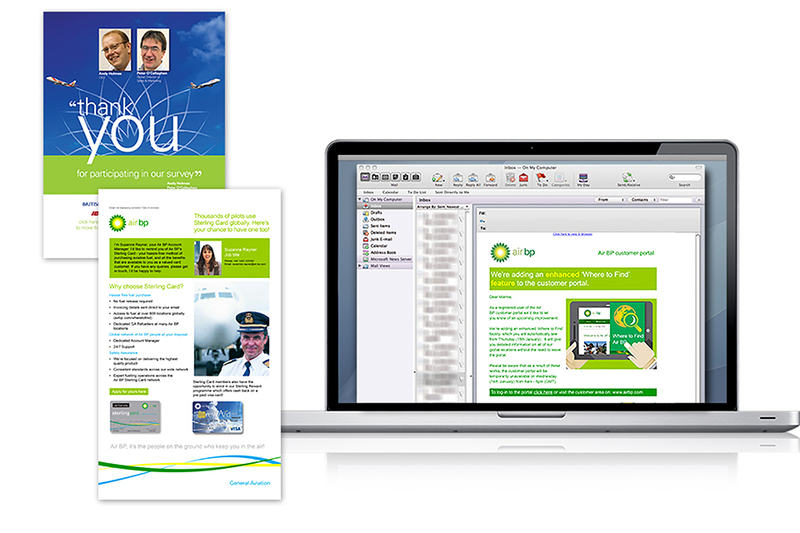 We create email campaigns for Air BP to communicate a wide range of topics from a new web functionality for customers or internal staff to a personal message videoed from the CEO direct to an important commercial aviation customer, or regular customer newsletters. The result is efficient and effective communication for Air BP, enabling reporting and measurement of the effectiveness of every piece of communication. Many of the eshots are created as master templates in BP’s preferred email management tool.